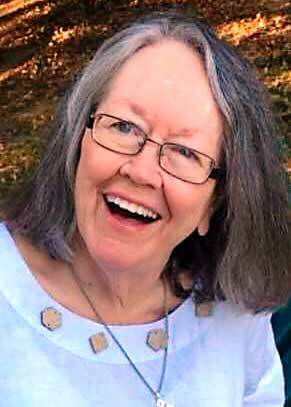 Sharon Ousley Kling, age 74, passed away peacefully around 3 a.m. on Friday, June 1, 2018 and is now dancing to her own tune with our Heavenly Father. Sharon is survived by her dear husband of 49 years, Daniel Victor Kling, of Peachtree City, along with her three children, Daniel John Kling, Peter Arthur Kling, and Rebecca Kristen Kling; three grandchildren, Carter Hudson Kling, Davis John Kling, and McKenzie Anne Kling; and two sisters, Frances Ousley Johnson and Lucille Sofge. Sharon, a life-long teacher, taught English for 14 years at McIntosh High School. She enjoyed yard sales, spending time with family and friends, and volunteered within her church and community. Sharon dedicated her life to her family and her students, and she had a passionate caring for all life. Everything she did, she did for others – always teaching others to be the best version of themselves. A visitation will be held Tuesday, June 5, 2018 from 5 p.m.-7 p.m. at Carl J. Mowell Funeral Home, Peachtree City. Her Celebration of Life will be held Wednesday, June 6, 2018 at 11 a.m. at Holy Trinity Catholic Church, with reception to follow. Expressions of sympathy may be made in the form of donations to St. Nicks Closet, www.stnickscloset.com.